Registrations officially opened in Hong Kong yesterday for the the two SHKP Vertical Run for Charity events on the Vertical World Circuit. The ‘Race to Shanghai IFC’ and the ‘Race to Hong Kong ICC’ will be held on 14 October and December 2 respectively, with Hong Kong once again hosting the Vertical World Circuit Grand Finale. 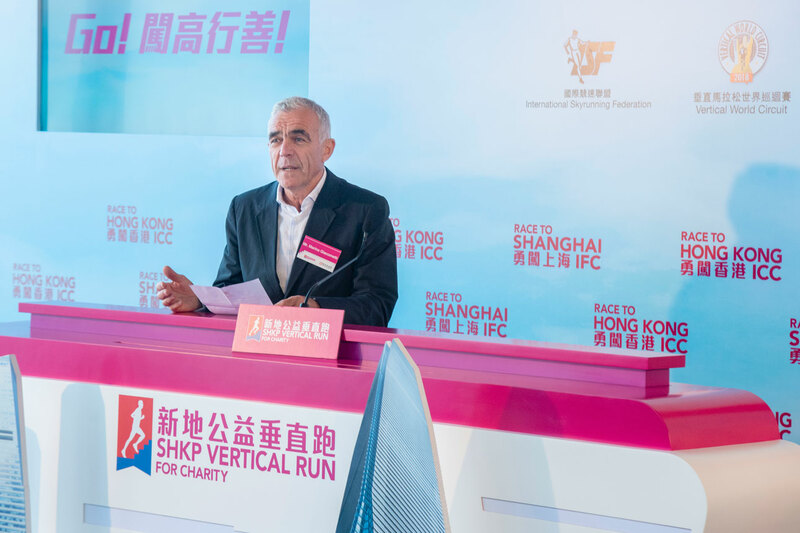 Marino Giacometti, President of the International Skyrunning Federation which sanctions the VWC, attended the kick-off ceremony at the sky100 Hong Kong Observation Deck in Hong Kong’s tallest building, the International Commerce Centre (ICC), site of the final event. The tower is 484m tall and counts 82 race floors with 2,120 steps. The two races are part of the nine-race 2018 Vertical World Circuit which unites iconic skyscraper races across the globe, offering a ranking with World Champion titles and cash prizes at the final, which this year counts an extra 50% bonus points. 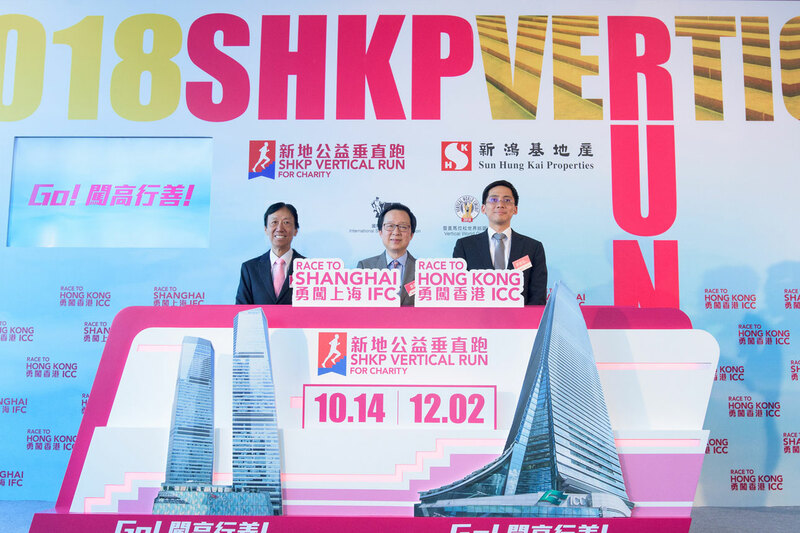 SHKP’s management team oversaw the ceremony, headed by Executive Director and Deputy Managing Director Victor Lui and Executive Director Christopher Kwok together with Event Organizing Committee Co-chairman Edward Cheung. Over the past seven years, the SHKP Vertical Run for Charity has raised over HK$38 million, benefiting tens of thousands of children and young people. This year, a host of community activities have been planned to further promote the benefits of vertical running and exercising for good to the general public. Local winners of this year’s men’s and women’s divisions will again receive sponsorships from SHKP to travel overseas and compete in Vertical World Circuit races next year. Next race on the calendar will be on August 25 in Beijing with the China World Summit Wing, Beijing Vertical Run.